Note: This Product is available in Platinum and 18K and 22K Gold as well. 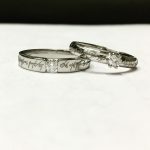 The Men’s Ring Weight approx 7 Grams, and Women’s around 5 Grams. Kindly call us to know more. 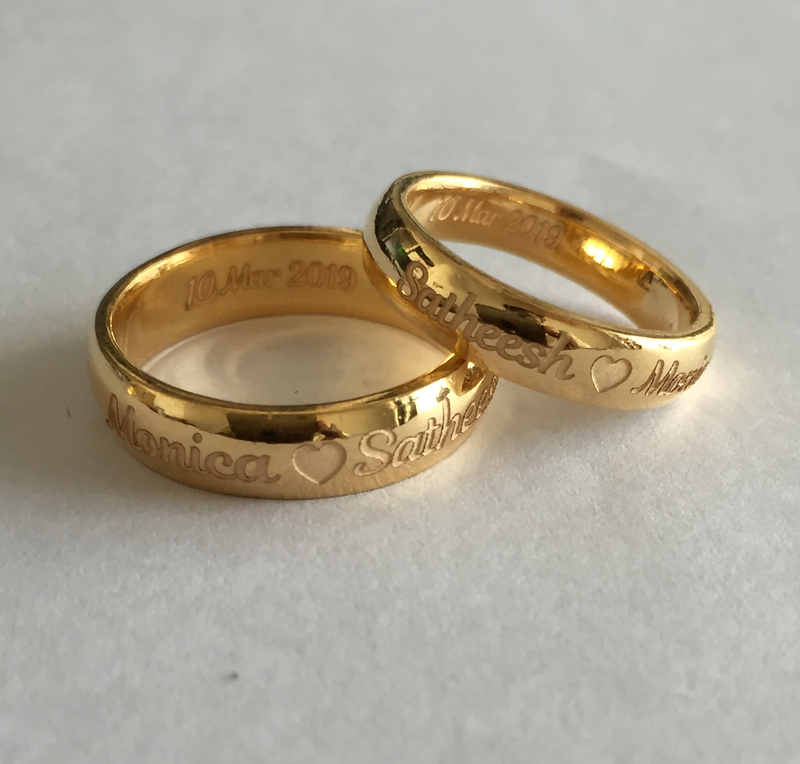 This Classic Name Engraved Couple Bands In Gold is beautifully inscribed with the names of the bride and groom. 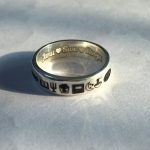 They can be customized and personalized to your required style and taste. 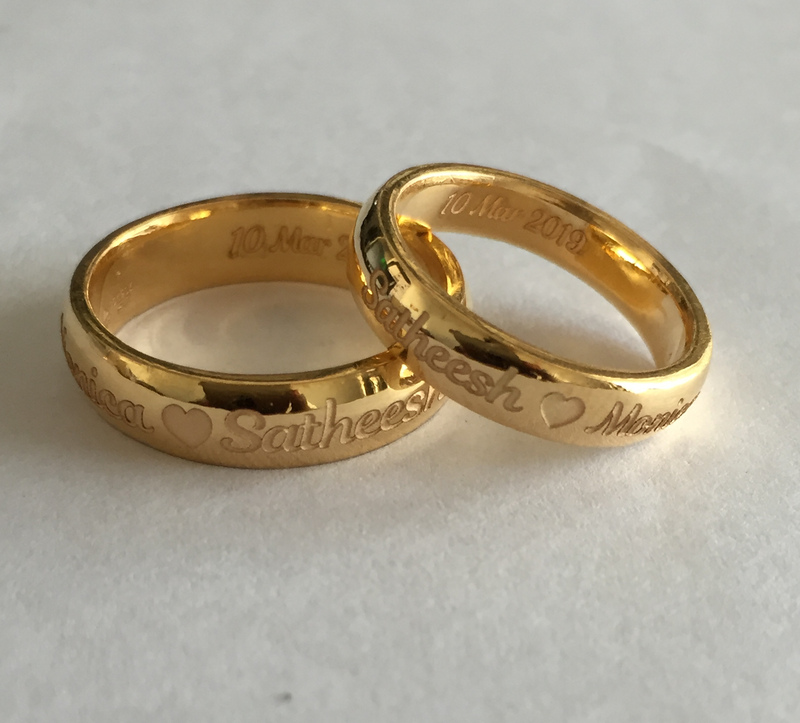 Classic Name Engraved Couple Bands In Gold Overall rating: 4.7 out of 5 based on 235 reviews.